Call 916-390-6581 Service and Repair on these are easy for us! 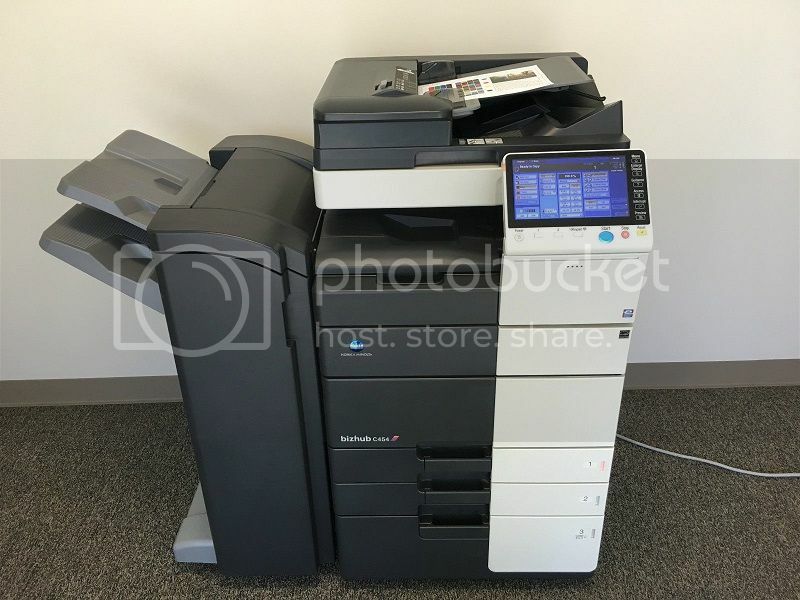 As professionals, we tend to try and avoid having a favored product, however if we did the Konica c454 Bizhub would definitely be it. The overall design of this one is sophisticated without adding complexity to the ease of operation. We truly enjoy showing this one off to our customers. It is one of those devices that makes you want to smash your existing one and replace it with the Konica c454 Bizhub. For a fairly new company that really hasn’t had the opportunity to get their name out there, we thought we might be taking a chance with them. However, we were soon proven wrong. We were in no way, shape or form taking a risk bringing this product line into our inventory. Instead we brought in a device that matched all of the well name manufacturers with a substantially smaller price tag. Many companies are beginning to look more into updating their office environment to improve the look, space and functionality of the office. With the Konica c454 Bizhub you will be adding a sophisticated style that can not be matched by any other printing device in its price rage. Just be careful when you bring this beauty into your office. Some of your employees just might think the company should be paying them more since they got such an attractive device. They would never imagine you spent as little as you did on something that could improve the productivity of the office while not looking gaudy and bulky. Whether you are looking to buy your very first office device or you are replacing your existing one, Sacramento copier consulting can help you find exactly what you need to make your office run smoother and faster. We understand, your business is your livelihood and we refuse to oversell you a product or force you into a purchase you are unsure of. Sacramento copier consulting is here to help you and make you happy. If you are not happy, we are not successful. Our goal is to make our customers successful so we in turn can also be successful.